When a person is on probation they are required to fulfill all the conditions of their probation. Sometimes a probation officer will allege that a person has failed to complete sometime or that they have committed a new offense in violation of their probation. In these circumstances, the probation officer will seek to have a motion to revoke filed. This means they are requesting that the court revoke an individuals probation. Many times when this happens, a warrant will be issued and no bond amount will be set. 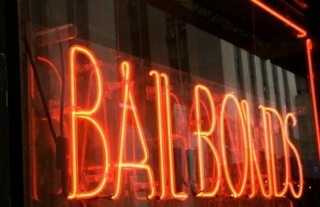 Under these circumstances, a bail bond can still be obtained. A motion to set a bond can be filed requesting that the court set a bail bond amount. Once it is set, a court date will usually be scheduled shortly after that to determine whether or not the individual is in violation of their probation. For these types of cases, having an attorney is extremely helpful. That attorney can help get the bail bond set, and then attempt to assist in the motion to revoke hearing.